What is a .kitchen Domain? The .kitchen domain extension was first delegated back in 2013. In just a few short years, it has become a very popular option for businesses and individuals in the culinary industry. Thousands of websites have been registered this domain, cementing its relevancy on the World Wide Web. It’s a generic top-level domain, or gTLD. As a result, there are no restrictions or lengthy application processes to take advantage of all this domain has to offer. Typically, it’s used by culinary-focused companies and Internet entrepreneurs. Whether you’re a blogger looking to share exciting new recipes with your audience or a retail company selling back-of-house restaurant equipment, the .kitchen domain extension can help increase your Internet presence. 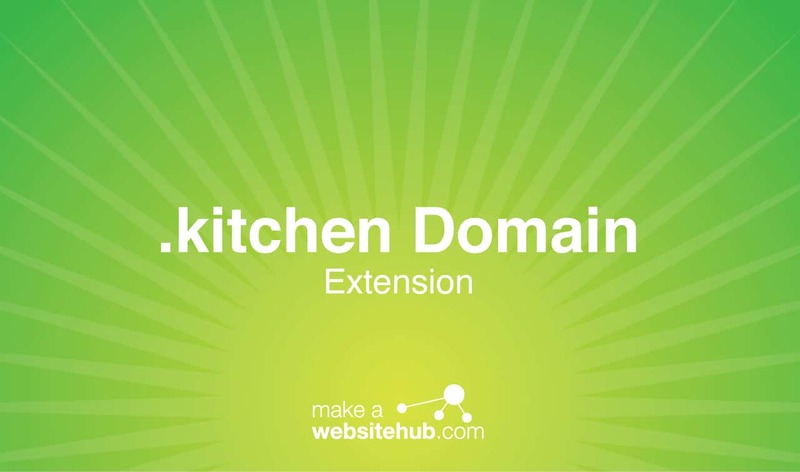 Why Choose a .kitchen Domain Extension? If you use the .kitchen domain extension, the focus of your website is right in its URL. It’s a simple domain that’s instantly recognizable. However, it’s also unique enough to stand out. Everyone has a traditional .com or net extension. While these simple alternatives do serve their purpose, they’re often viewed as old and boring. A .kitchen domain stands out in a flooded market, appealing to an ever-growing audience that has a better understanding of how the Internet works. More people will be inclined to check out a .kitchen website out of curiosity alone, allowing you to see organic growth and better search engine rankings. You don’t have to be a chef to utilize the extension to its full potential. It’s a broad category that spans multiple different industries. For example, it’s a great option for commercial and industrial retailers, interior designers, contractors, manufacturing facilities, and so much more. Creating an eye-catching URL is very easy with the .kitchen domain. The extension alone packs a pretty big punch that’s sure to attract attention. If you own a restaurant or catering service, you can attach the extension to your company’s name for a memorable web address. CompanyName.kitchen is easy to remember and gives web users a good idea about what your company is all about. You can even print your URL onto advertisements or business cards. The domain looks great and can ultimately become a part of your company’s overall identity. Personal blogs devoted to the culinary arts can also have a catchy name. Some unique examples would be JaneDoes.kitchen or glutenfree.kitchen. Alternatively, you can employ domain hacking techniques. Fun names like tasty.kitchen, southern.kitchen, or mamas.kitchen can become a part of your brand as a whole. As you can see, there are many ways to get creative and show potential visitors what you have to offer. Where Can You Buy a .kitchen Domain Extension? The great thing about the .domain extension is that it’s accessible to anyone who wants to use it. There are no major use restrictions that you have to concern yourself with. You can simply register your site, create your content, and start attracting visitors. Most major domain registrars offer .kitchen domains. You can register for up to 10 years at a time. Here are a few registrars you should check out.